MyMemories Blog: Speed Scrap Time! 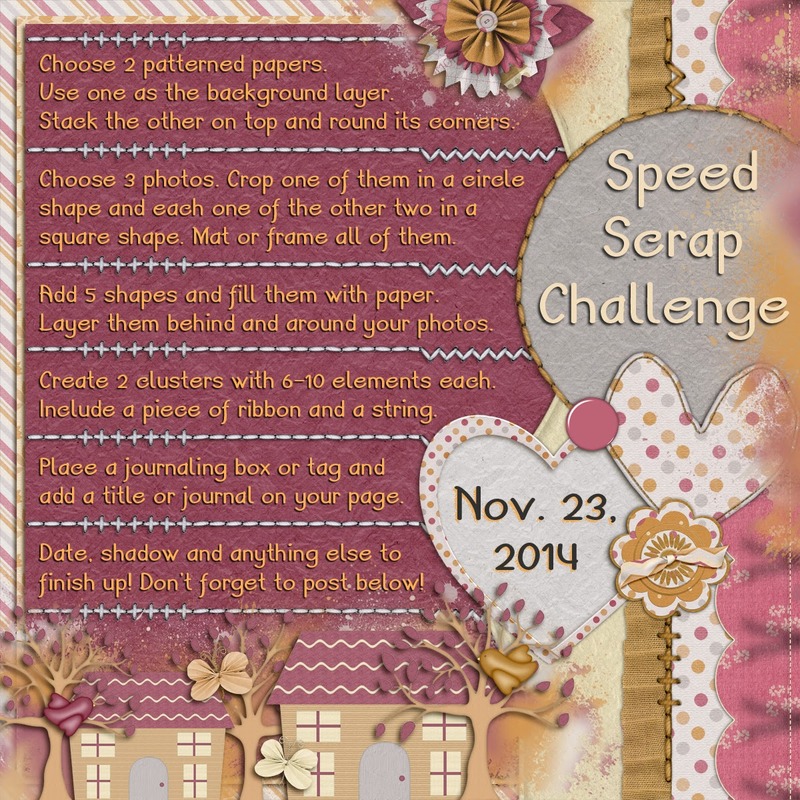 Join our Francis for this FUN Speed Scrap! Don't forget to post your finished layouts in the Forum! 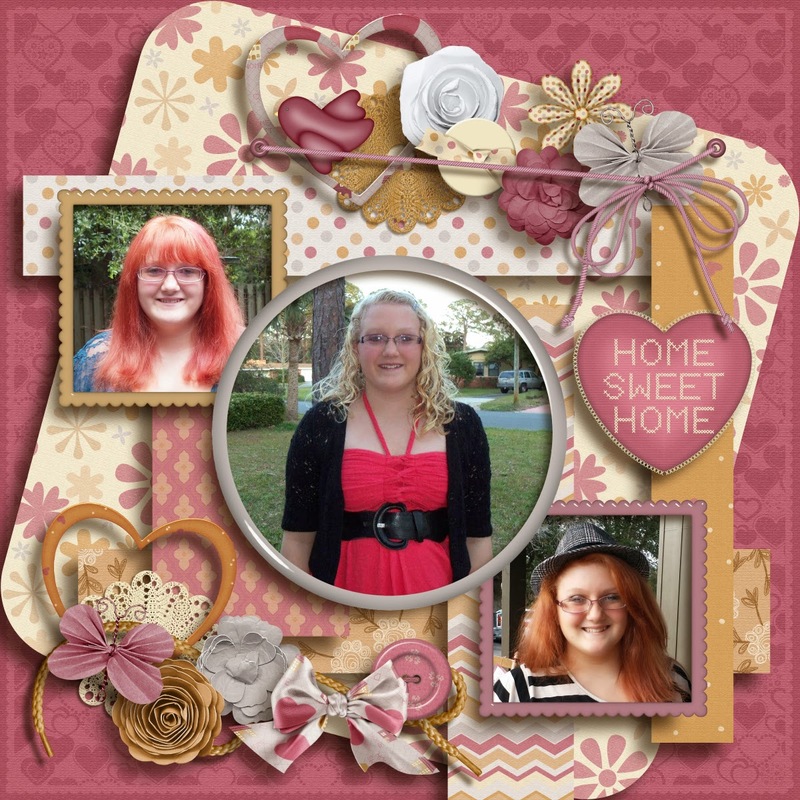 The kit I have used to make both is Home Sweet Home Bundle from QueenBrat Designs. Step 1 ~ Choose 2 patterned papers. Use one as the background layer. Stack the other on top and round its corners. Step 2 ~ Choose 3 photos. Crop one of them in a circle shape and each one of the other two in a square shape. Mat or frame all of them. Step 3 ~ Add 5 shapes and fill them with different paper. Layer them behind and around your photos. Step 4 ~ Create 2 clusters with 6-10 elements each. Include a piece of ribbon and a string. Step 5 ~ Place a journaling box or tag and add a title or journal on your page. Step 6 ~ Date, shadow and anything else to finish up!